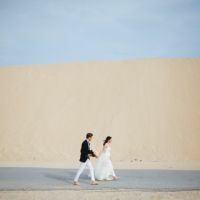 Tarifa Wedding & Events: Spain. Organiser, planner, venues, catering. We live weddings. We love weddings. "Der so oft beschriebene „Hochzeitsplanungsstress“ ist bei uns nie eingetreten"
The Windiest One Yet "Jolanda, we truly feel like you have become a friend and can’t thank you enough for the journey you have lead us through"
Wir haben viel erwartet! Und es wurde noch übertroffen! 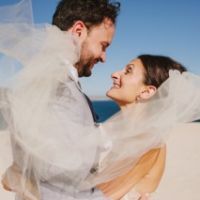 "On the wedding day in particular, Jolanda was an absolute trooper"
"Conocimos a Jolanda como wedding planner y después de un año preparando nuestra boda con ella, ahora tenemos una amiga"
"She truly cares about her customers"
"Faced with challenging conditions in windy Tarifa, she proved unflappable, organised and flexible"
"We wilden de juiste look en feel en dat is gelukt"
"What really made the difference for us though, wasn't only the very professional handling of the event, but the fact that Jolanda truly cared for us"
Tarifa, the most southerly tip of Spain, is famous for its golden beaches of sweeping sand dunes and surfers, along with its whitewashed village complete with castle and views of Morrocco over the adjoining seas of the Med and the Atlantic. Wedding destinations don’t get much more romantic than this. 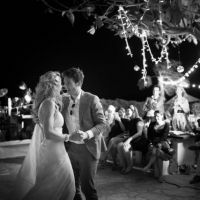 Tarifa Events are the only local wedding planners able to offer you the combination of expertise, experience and passion for wedding planning on the Costa de la Luz’s most chilled out destination – coupled with a fantastic relationship with Southern Spain’s most prestigious caterers, award-winning photographers and some of the best suppliers in the country. 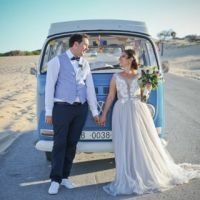 Whether you are looking for an intimate sea-view villa wedding with a Shabby Chic twist, or a Boho beach wedding complete with white stallions and vintage camper vans, we can make it happen. So sit back, chill out and relax...Tarifa Events are experts at making dream weddings a reality.